Walton have booked their place in this season’s Lancashire Sunday League Syndicate Trust Challenge Cup semi-finals. They had an impressive 4-0 victory over Premier Division outfit Theatre Boys on the 3G pitch at Brownedge St Marys High School. James McIver netted a hat-trick and Alistair Palmer scored the other goal. It was the only game out of the 31 scheduled for Sunday morning that managed to survive the freezing weather. Meanwhile, Preston Referees’ Society welcome top referee Chris Kavanagh (right) to speak at their meeting at Preston North End’s Invincible Lounge tonight. 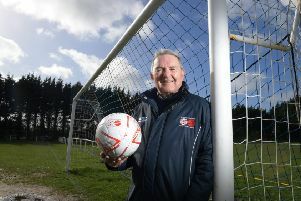 The Manchester-born referee started officiating in 1998, as a 13-year-old, plying his trade in local football, before being promoted to take charge of matches in the National League in 2012. He refereed in the Football League regularly from the 2014-15 season and in 2016-17 he was the man in the middle on 27 occasions for the Football League Championship campaign. In 2017 Kavanagh was promoted to the elite list of referees who officiate the Premier League and he was awarded the coveted FIFA badge in 2018. 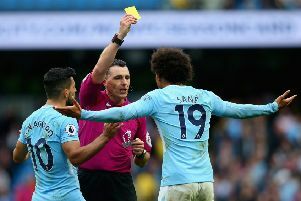 He was appointed to referee the Liverpool against Everton Merseyside derby game at Anfield on December 2, after refereeing a mere 26 Premier League games. And he was universally praised for his handling of the high-profile match. The revised set of fixtures for this Sunday, February 10, which contain games in the various cup competitions plus changes to league fixtures, can be viewed on the Lancashire Sunday Football League website.